In this baking summer heat, a de-consecrated church in Manchester has been converted into a veritable cauldron. No eye of newt or fenny snake fillet in this pot though. Rather the most inspired and infernal combination of an almost medieval venue, floored with mud, drenched with (real) rain, equipped with basically brutal steel and wood scenery, yet also endowed with state of the art theatre-craft. Wrap this combination up in some of Shakespeare's most beautiful prose, have it performed by actor-director Kenneth Branagh's company, and the result is theatrical enchantment. Branagh's impact upon this production is profound. The poetry of Macbeth is legendary, and the actor's considered interpretation of its rhythm and context reveals new depths to Macbeth's tortured soul. Branagh has a demonstrated love for and understanding of Shakespeare that is almost unique amongst his generation and rarely has each classic monologue or soliloquy from both Macbeth and his Lady been so longed for by the audience. Simply put, the acting talent within this Manchester International Festival offering is a privilege to witness. It is the cast of this play that are the jewels in Branagh's crown. 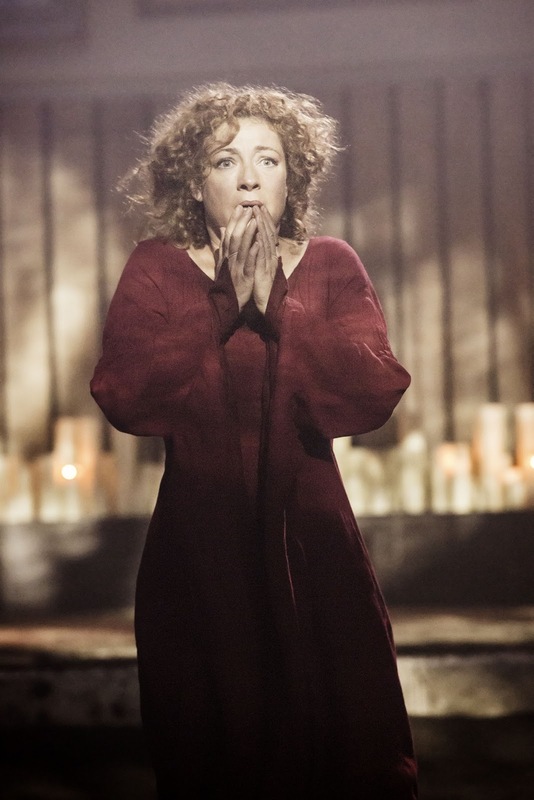 Alex Kingston's Lady Macbeth is a masterclass in manipulative matrimony, sliding before our eyes into bleak suicidal madness. Her sleepwalking scene, free of all gimmicks and trickery harrows as the actress gives fresh depth and interpretation to this most complex of Shakespeare's women. John Shrapnel's Duncan defines majesty. Ray Fearon's Macduff is as menacing when he avenges his family's slaughter, as he is heartbreaking when told of their deaths and in the sweetest of cameos, Rosalie Craig's devotedly maternal Lady Macduff claws at our base emotions as we see her witness her son's murder. Norman Bowman's Scottish brogue makes his Ross a vocal treat, whilst Charlie Cameron, Laura Elsworthy and Anjana Vasan's Witches give these Shakespearean women a ghoulishly freakish twist that alarms as much as delights. The venue is an inspired choice. Performed in the traverse, the beautifully restored building lends itself magnificently to suggesting a feudal kingdom, far removed from the modern day. Timbers groan, and when the portly Scottish Jimmy Yuill's Banquo is slaughtered, crashing into the wall (in front of this reviewer's row A seat), his dying, clutching grasps as he succumbed were haunting. 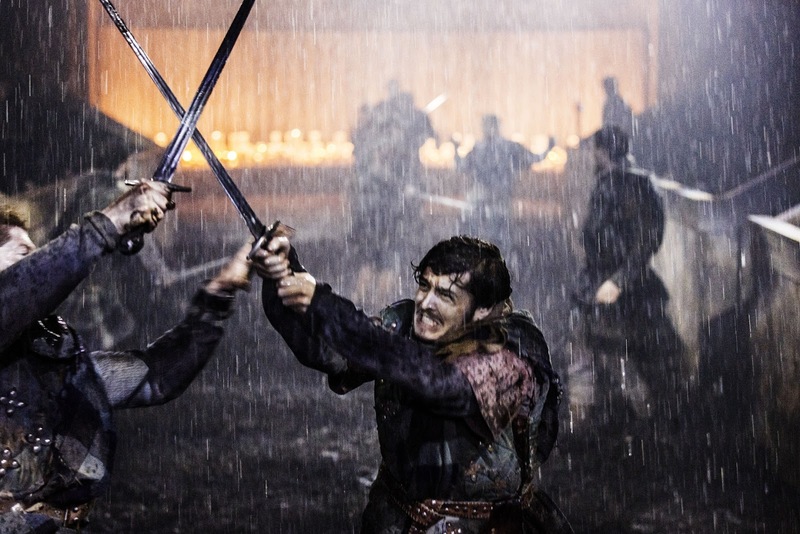 Christopher Oram's costumes of the era add to the work's chronology and the magnificent swordplay literally sees sparks fly as the heavy steel blades collide under fight director Terry King's design. It is a credit to the production that the cast are undetectably mic'd. The clarity is perfect throughout as Christopher Shutt's sound crew manage Patrick Doyle's beautiful music, along with the delivery of the spoken word, perfectly. Lit by Neil Austin, some effects are breathtaking. That a dagger can be suggested on the floor by a bright light shining through a chink in a timber wall is a neat touch - but when daylight suddenly illuminates the stage, streaming through the building's magnificent rose-window and supplied as it turns out, by a massive floodlight set atop a cherry-picker OUTSIDE the church, one has to gasp at the ingenuity that can deploy modern technology to deliver such a beautifully conceived yet sweetly simple vision. Rob Ashford co-directs and where this giant of Broadway and the West End's strengths can lie in conceiving the movement and choreography of the text, so Branagh is a world class authority on the Bard and an accomplished movie director. The union of these creative talents is far greater than the sum of their parts. They have imbued the story with a sense of authentic spectacle usually associated with gimmickry rather than the artistic brilliance that this production represents. They give a depth to the play that focuses on the simple raw beauty of the visual image as well as the splendid verse. The result is a rare, precious and undeniably definitive production. 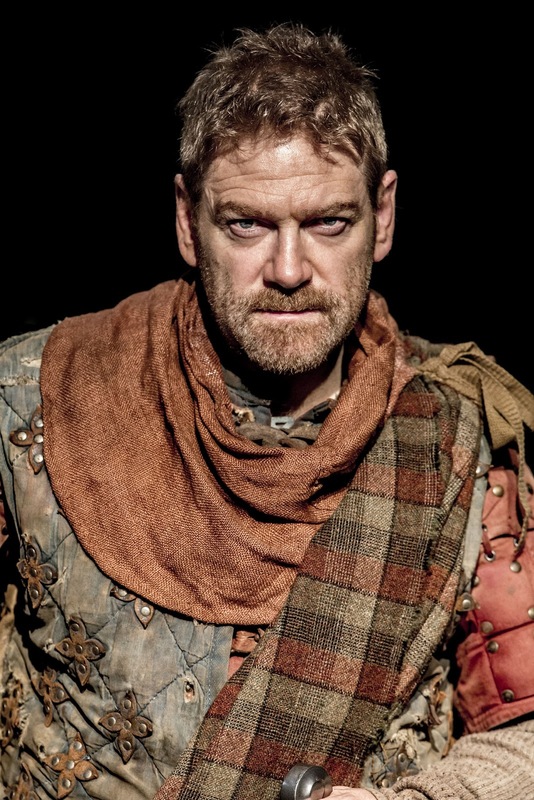 Making the Unmissable unmissable, those wonderful people at NTLive will be broadcasting Macbeth live to cinemas across the country and also globally, on July 20 2013. The broadcast production values of the NTLive series are world class, bringing outstanding theatre to within not only the geographical reach, but also the budget, of all. NTLive booking details can be found here.